Photograph depicts rough waters. 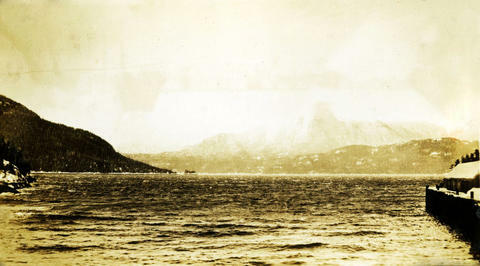 There is snowy shoreline on the right and left with snowy forested hills and mountains in the background. Handwritten annotation below photograph reads, "Naas - Inlet in a windy spell".